Hundreds of genomes have been completely sequenced in the past decade, significantly advancing our understanding of genome structure and function. Genomes comprises a collection of review articles reprinted from the 10th Anniversary issue of the journal Genome Research that capture the status of genomic research in a selection of model speciesfrom microbes to human. Written by leaders in the field, each chapter focuses on a kingdom, group, or species and offers a unique perspective on the history, the current status, and future of genomics research. Topics addressed include gene regulatory networks in the fruit fly and the sea squirt, fungal genome evolution, mouse and rat mutagenesis, the future of crop plant genomics, how livestock genomics informs human medicine, the importance of the dog genome in studying human disease, and the search for humanness through human and chimp genome comparison. In addition, updates on emerging technologies in DNA sequencing and in gene prediction, as well as direction to relevant public resources, are given. 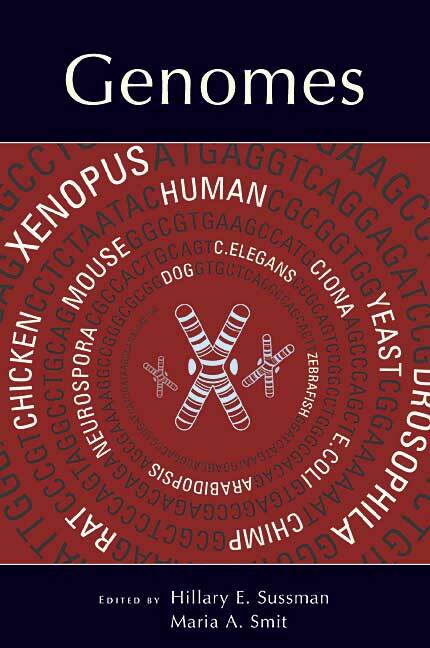 This book serves as a valuable reference and teaching tool for established scientists in the genomics field and as a comprehensive overview for those with more general interests in biology.